Last week Anna’s friend turned 9 years old. I wanted to celebrate his birthday like I have for every one of his turns around the sun but for some reason I couldn’t even get myself to say happy birthday to him on his special day. I didn’t want to be emotional and make him sad or feel bad that his birthday made my heart miss Anna even more than it already does. I don’t want him to grow up. I hate that he has to grow up without my girl by his side. I hate that he has to miss her. Tom made him his famous chocolate chip cookies and took them to him while I was at play rehearsal, “please let him know that I said happy birthday and I love him,” I said as I left the house with a heavy heart. When Anna was born this boy was one of the first to see her (he was actually in the laboring room with his mom and I until things got too intense). He was 7 months old and I think that his mom and I knew that moment that our children would be the best of friends ~ and they are. A couple of days after his birthday he was skateboarding across the street. I went over and told him happy birthday and that I loved him, I could tell he knew it makes my heart sad he didn’t get to share it with Anna. He said thank you and then opened his arms up and gave me the best hug. I hugged him back, not just for myself but for his best friend Anna. I remember dialing her number and hoping that it would go to voicemail. I had absolutely no idea what to say or do. I couldn’t fathom her pain and I definitely didn’t want to say anything that would make it worse. I cried and said that I was sorry. She said thank you and we both cried. I told her that I was there for her, not really knowing what that meant at the time, but I was there when she needed me (again I had no idea what that meant). I was scared that I wouldn’t be able to be a good friend ~ I had no idea how to be a good friend to someone who has lost a child. It was the following Fall, and my friend’s daughter was in school and Anna was in pre-school. We would meet for coffee every other Friday. I was extremely nervous, I didn’t want to be emotional in front of her and I didn’t want to make her feel bad. Sometimes I was at a loss for words, not wanting to say the wrong thing. Sometimes I said the wrong thing. I remember one day we sat and talked about how people interact with her since Harry went to Heaven. She said the hardest was when people didn’t say anything at all, didn’t acknowledge her grief or even worse, avoided her. She said that in those moments it was extremely difficult because all she wanted to do was talk and share about Harry, share about his sweet face and his beautiful smile. She wanted people to never forget and the avoidance was a sign that her life was too hard for them. What do you say to someone who is experiencing a pain you can’t even imagine ~ a pain you don’t want to imagine? What do you do when someone’s life is hard ~ do you avoid them or embrace them through their suffering? There is no doubt that my words weren’t always the right ones but what I have learned through my own experience of grief is that my friend didn’t need words from me she just needed me to be present, to cry with her, laugh with her, talk about Harry with her and let her just be…on the good days and on the bad ones. Talking about Harry brings her joy, especially when telling stories and when talking about how he filled the space in her arms. This joy often comes with tears because this joy is of the purest form of love and the distance between Heaven and earth can’t separate the pure love that a mother has for her child. Her tears were ones of longing to hold, to touch and to kiss Harry. I now know this same joy and experience these same tears and my friend has created a safe space for me to just be. For the past 15 months she has been a life line, sending me text messages letting me know she loves me, is thinking about me and is there when I’m ready to go get coffee. Yesterday morning we had breakfast at a fun little cafe in our town. 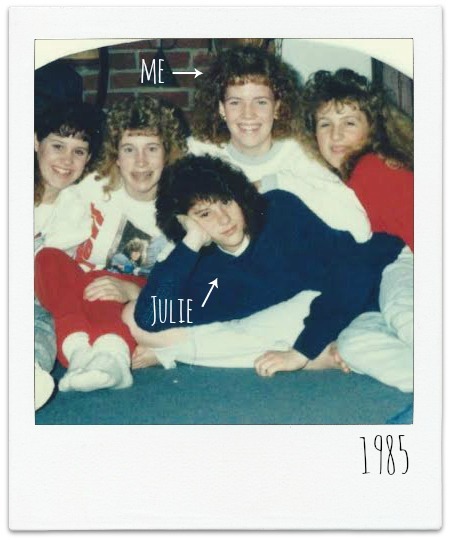 We talked, shared stories about our kids, laughed and cried. It was perfect. She understands what my heart is going through in a way most don’t. She is holding me and I am holding her. PS. We both love talking about our kids and there is no greater compliment than to be referred to as Harry’s mom or Anna and Abby’s mom. I couldn’t believe that after so many years we were sitting across from one another chatting as though no time had passed at all. We were so young when she moved away with her family and so much of our lives needed to be caught up on. 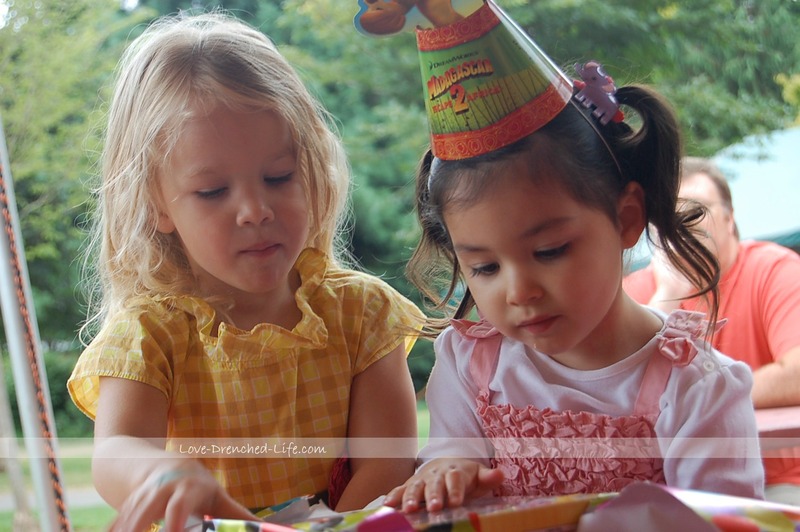 We went back and forth, asking questions, sharing details and laughing at memories of our childhood. 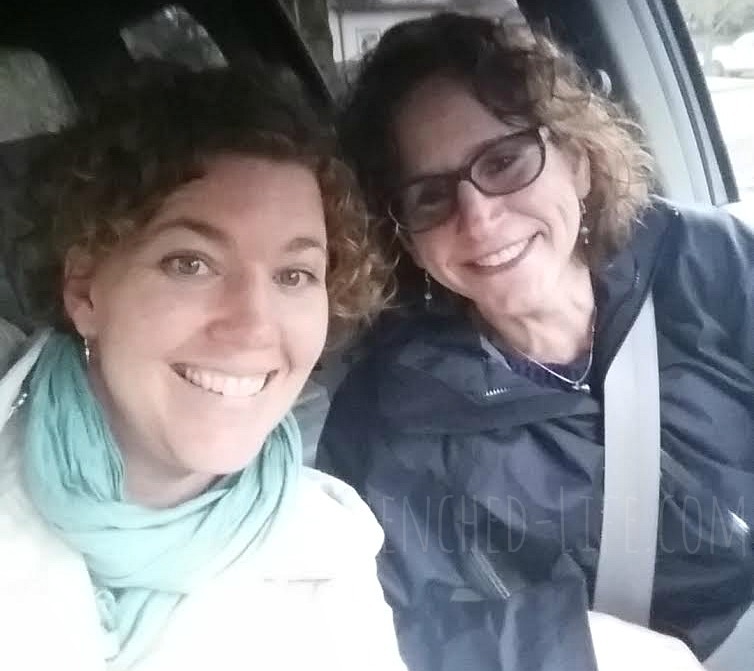 My trip to California last week was not only about keeping my promise to the girls; I think God also wanted me to reconnect with my friend Julie, whom I hadn’t seen in over 25 years. 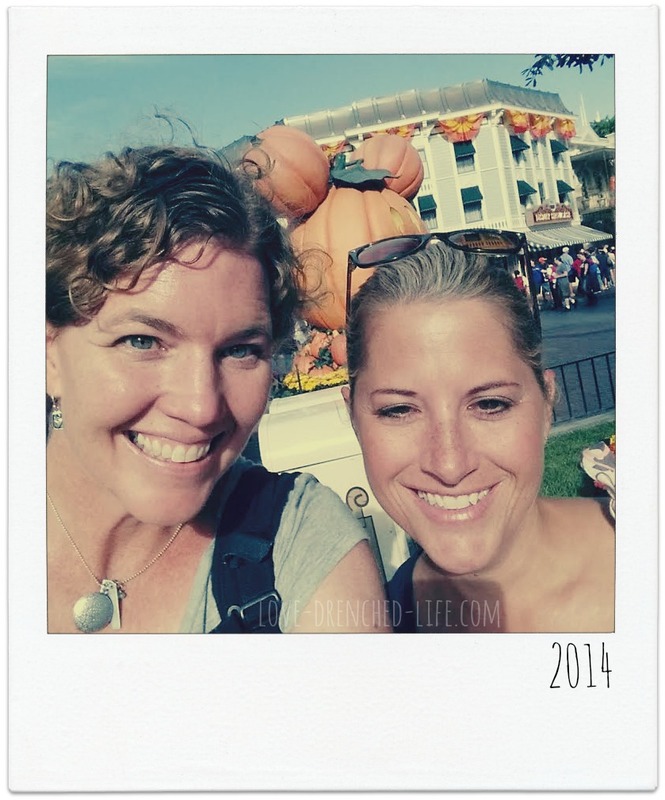 She had sent me an email a couple of weeks ago and I asked if she lived close to Disneyland ~ yes, only 10 minutes away. As we sat across the table we connected in ways we never did in our care-free youth. For the first hour we caught up on college, relationships, marriages and having our kids. Of course I wanted to know about her older brother, my childhood crush. I still have my diary from that time, his name is written a hundred plus times with lots and lots of hearts. She told me how her heart grieves for my loss, she has a daughter a year younger than Anna. She said that she has been praying for Tom and I, I told her that we have definitely been feeling those prayers. I believe that somedays that is how I get out of bed in the morning – the prayers of many lifting me up. She shared with me about her walk with God and how my circumstances impacted that walk greatly. She said God had been knocking at her door for awhile and on October 20th she heard Him loud and clear. The next day, unable to go to work, she found herself at a church she had been thinking about going to. She was holding her daughter tightly as she walked through the doors unable to make sense of Anna and Abigail going to Heaven. The pastors prayed with her ~ God wrapped his loving arms around her and she let Him. I am so happy she let Him. I am so blessed to have Julie in my life and to have had this opportunity to catch up with her. I can’t wait for many more visits and memories that we will share and I love that our friendship has been renewed by God. Julie is now, not only my friend, but my sister in Christ. We will be in eternity together one day, and there she will get to meet my girls. No words today just day dreaming about a cool glass of Lemonade made by Lemon Love. 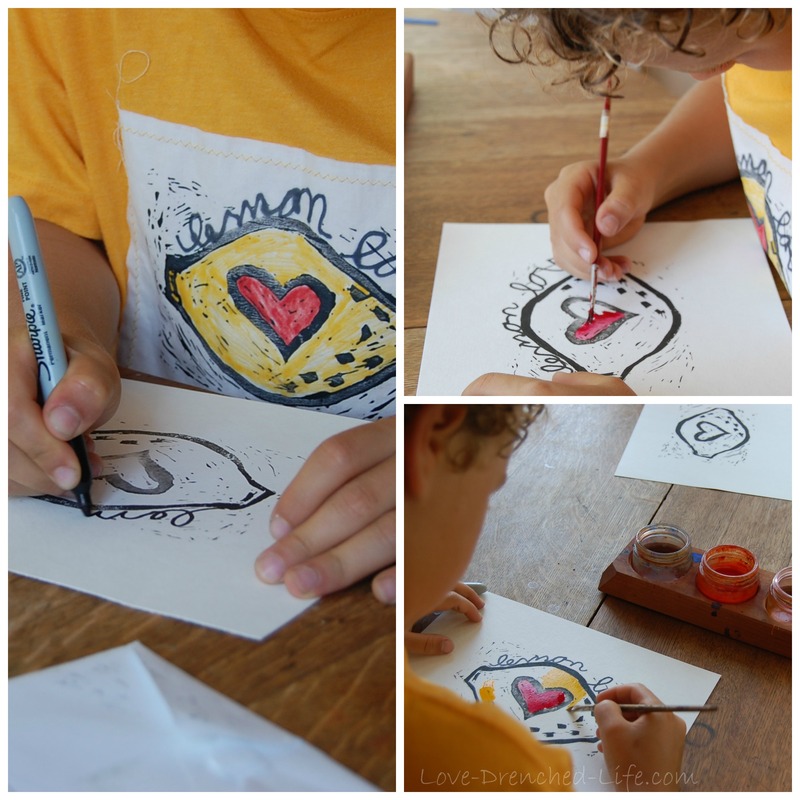 Anna’s dear friend is making 100 original Lemon Love prints to sell online to help raise money for the playground. As I sat and took these photos my heart was heavy. This little boy spent so many hours with my Anna and I know that his heart is full of love for her and misses her dearly. Each one of these prints is made with so much love. 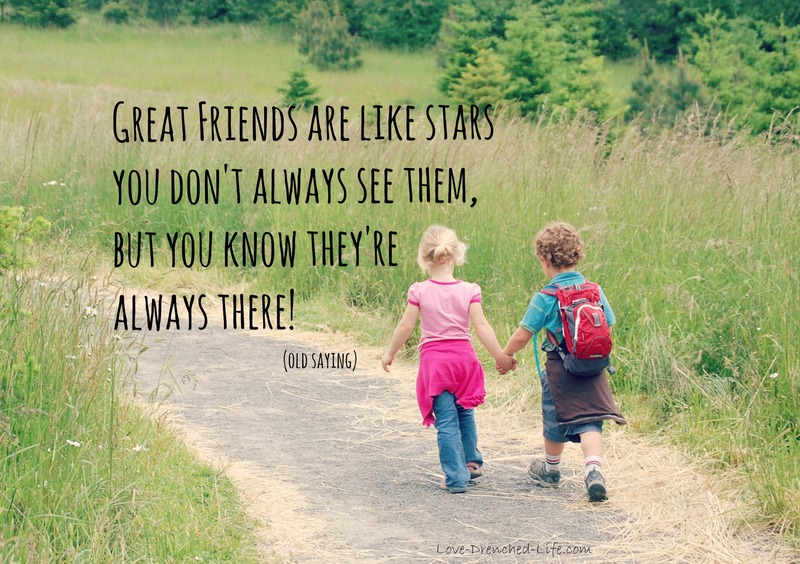 I know I say this often ~ my girls have the best friends. If you are interested in ordering a print you can go to our online store ~ Love Drenched Designs. We are off to a birthday party to celebrate a little girl that made my girl very happy. Giving her a hug today will definitely make me happy. 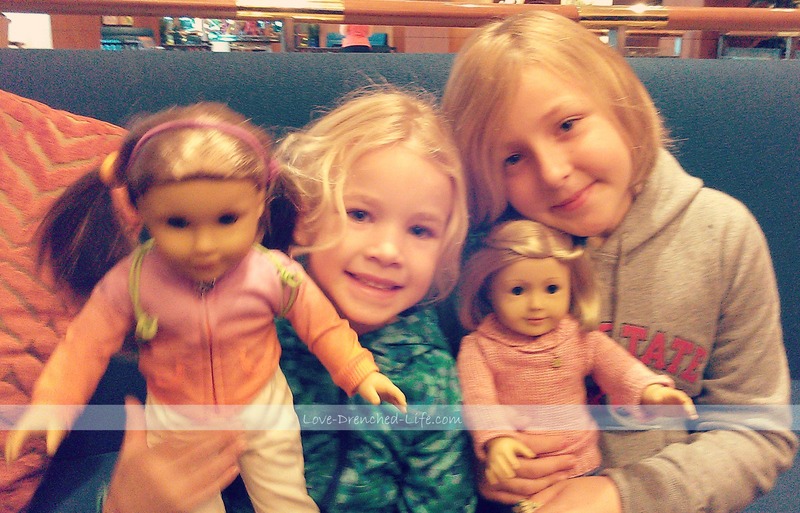 Anna and Saige, a doll she bought with her own money last August. I always knew that the time would come when Anna would want one. 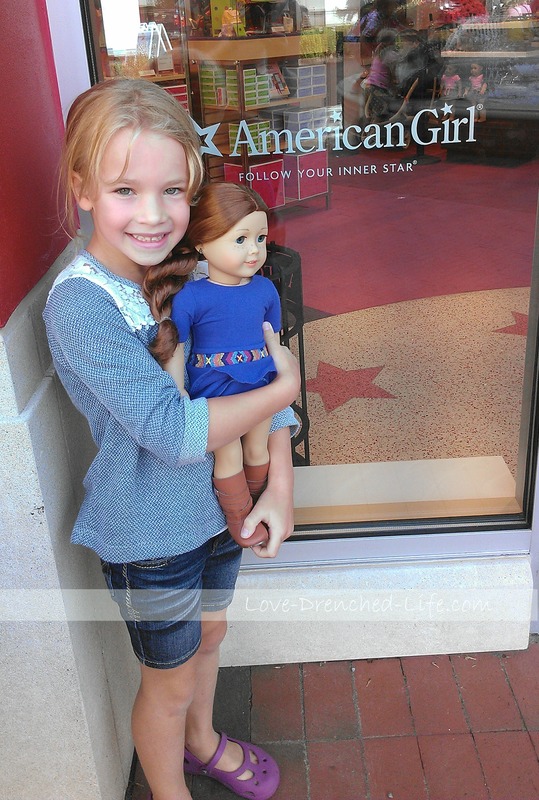 She loved her baby dolls and I knew that an American Girl Doll was definitely in her future. For her 6th birthday my parents met us in Seattle and we went, for the first time, to the most amazing place in the eyes of a doll crazed 6-year-old, The American Girl Doll Store. We both walked around with big eyes, looking at all the beautiful dolls and their fun accessories. I knew the minute we walked in that we would have a couple of bags in our hands, and a new friend for Anna, on the way out. I knew because I couldn’t wait to play with Anna’s new doll too. It was a magical day for all of us and I know that my mom and dad felt honored to be able to buy Anna her new friend McKenna. We actually walked out of the store with two dolls. Abigail was turning 10 years old soon and I knew that even though she may only have a few doll years left in her she needed to feel the magic too. Last night, Anna’s best friend stopped by with her parents to drop us off a yummy treat. While they were here I had a thought pop into my head and I ran upstairs, got McKenna, her toothbrush, some night cloths for her and some matching night cloths that Anna used to wear. I ran back down and asked Anna’s friend if she would be willing to have a sleep over with Anna’s doll. I told her she doesn’t get out much these days and that she would probably appreciate a visit at her house. 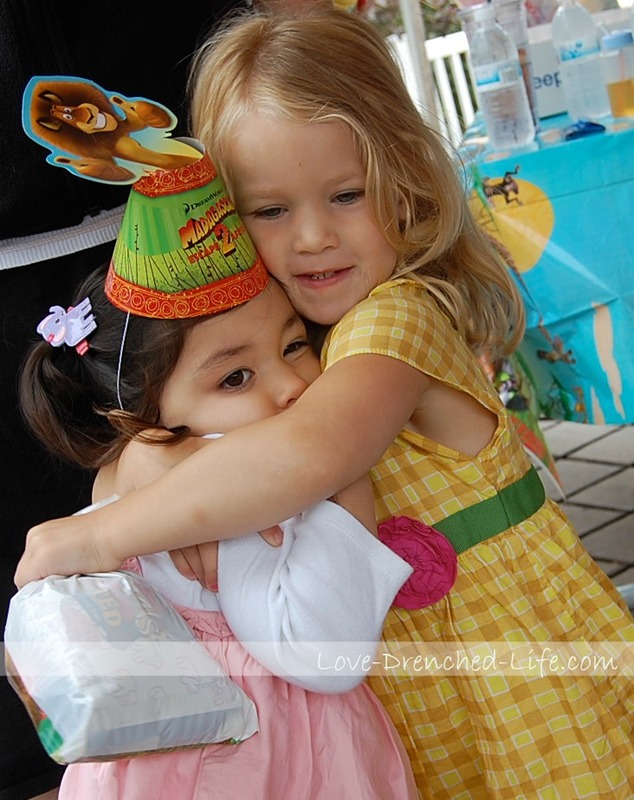 Her eyes got big and she said of course and hugged Miss McKenna as though they were long-lost friends being reunited. 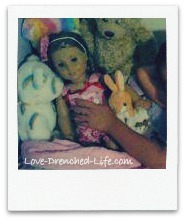 When I sit in Anna’s room I often think about her dolls and how they must miss their mama. Anna took such great care of her babies and as much as I try I don’t play with them nearly as much as she did. I’m sure they are very lonely. 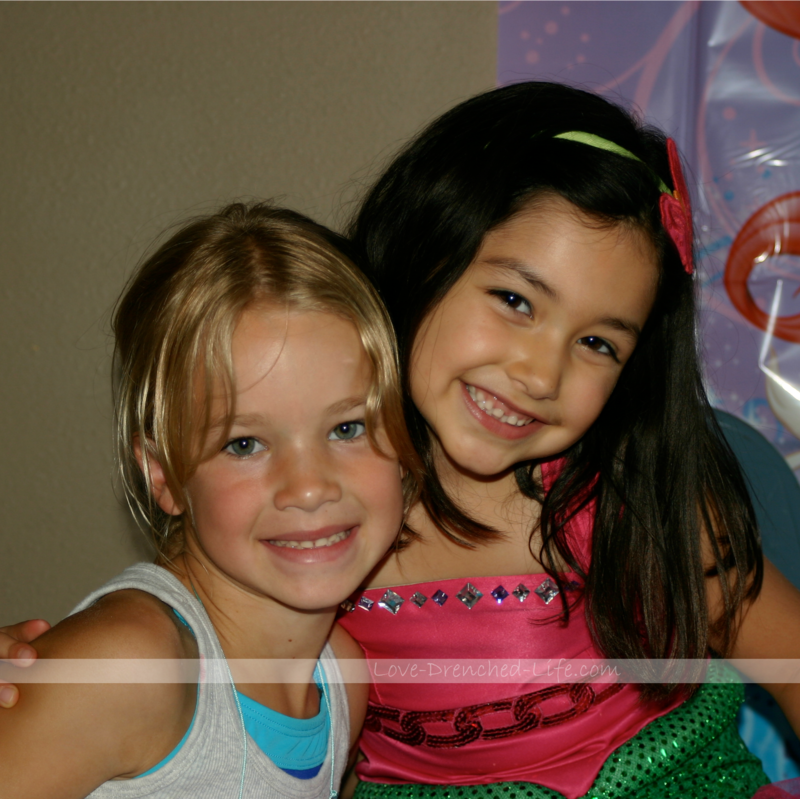 Today I am happy that McKenna got to have a sleepover at Anna’s best friends house. I am picking her up in a few hours and I’m sure there will be lots of stories to tell.